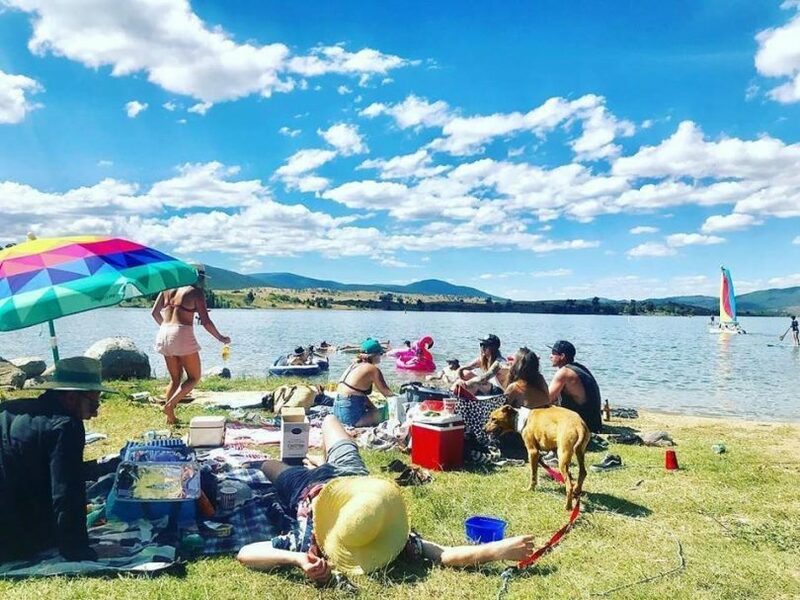 Chilling on the shores of Lake Jindbayne during the summer months. Photo: Jennie Jane, Destination Jindabyne Facebook. 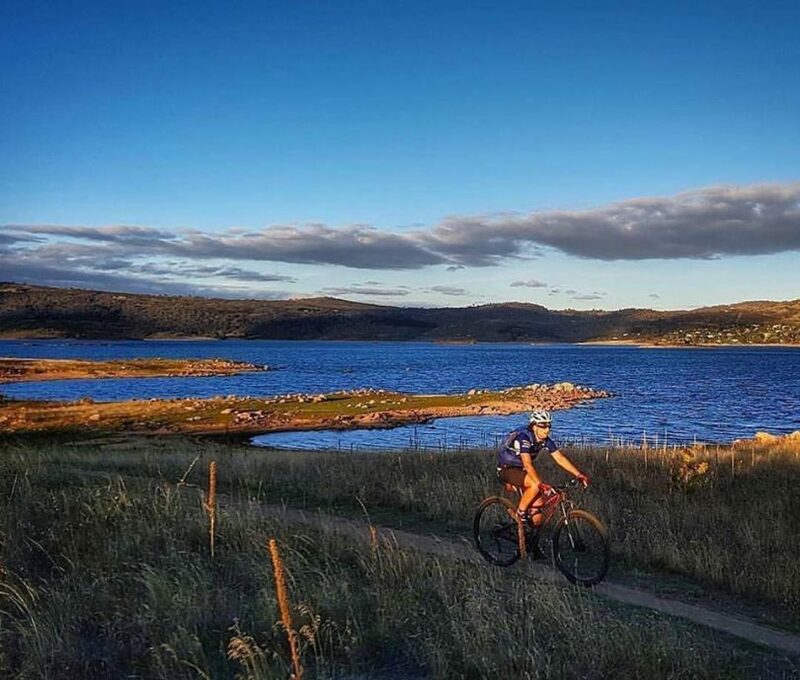 The Jindabyne business community has welcomed the State Government’s commitment to revitalise the high country tourist town. Deputy Premier and Member for Monaro, John Barilaro, and Minister for Planning and Housing, Anthony Roberts have launched the $2.4 million ‘Jindabyne 2036’ masterplan. “Jindabyne is the gateway to the beautiful Snowy Mountains, it is a thriving town with enormous potential for growth, and proper planning will see Jindabyne become known as the nation’s premier alpine destination,” Mr Barilaro says. • A redesign of Jindabyne as Australia’s premier alpine destination. Mr Roberts says some of the best minds within the government have been tasked to helping create the masterplan including Lee Shearer APM, who heads the state’s Resource Regulator. “The end result will be a masterplan with a clear vision for the region, taking into account all aspects of the town including tourism, jobs, goods, services, accommodation, housing, roads, local products and more,” he says. “We will create and build a future-proof plan to deliver for Jindabyne, building on the town’s strengths within the wider Snowy Mountains, a region that welcomes more than 1.3 million visitors a year and which is home to around 35,000 people. The minister says, Ms Shearer will oversee a whole-of-government working group that will include Snowy Monaro Regional Council and other key stakeholders and community members. 🎣⛷ JINDABYNE 2036 🏔🚴🏻‍♂️Jindabyne is a thriving, bustling community, and it’s bursting at the seams. Yesterday, I joined with my good friend Anthony Roberts, the Jindabyne Chamber of Commerce, Jindabyne Action Group, and the local community to announce the NSW Government will spend $2.4 million redesigning Jindabyne. This will give us the opportunity to:- Investigate the construction of a separate public high school to be located near the sport and rec centre- Unlock the beautiful Lake Jindabyne foreshore to create a food and lifestyle precinct- Investigate the potential of a bypass, taking busy traffic out of the CBD- Identify the sites for future health services and aged care facilities in Jindabyne- Locate sites for future residential and commercial developmentsThank you very much to the Jindabyne Chamber of Commerce and the local CWA for their help in putting this announcement together. Take a look at the wrap up of yesterday's announcement. President of the Jindabyne Chamber of Commerce, Bruce Easton says community leadership and involvement is key to the plan’s success. “We see a place for the community to make decisions on what we hope will be a connected and sustainable year-round future supportive of local business, and an economy based on tourism that continually brings new and fresh ideas and people,” Mr Easton says. The Chamber and the Jindabyne Action Group have been advocating for some months on issues including aged care, education, CDB lighting, lake foreshore improvements, housing, and access to technology. Aside for growing the town’s year-round tourist appeal, one of the key ambitions of both organisations is to build a greater sense of community by attracting more residents and families – beyond the current 2,629 people and 540 families. “We as a Chamber need to grasp the opportunity and ensure we provide leadership. We have created an opportunity few communities in regional areas get. To determine how this special place with plentiful access to water, a natural backyard of wild places can create a home for viable and sustainable year-round business opportunities. Riding the Hatchery Bay Trail on Lake Jindabyne. Photo: Stephen Molloy, Destination Jindabyne Facebook. Ms Shearer says the community should grab this opportunity with both hands over the next six months. “I know some people might have a bit of plan fatigue, it’s not my style to come in and see nothing happen,” she says. “Things do happen when I am brought in. Labor candidate for Monaro Bryce Wilson says he is keen to see the process start. “2036 is a long way off, what does success look like in five years time?” he askes. Lee Shearer and her team will be in Jindabyne for the first round community consultation on December, 4,5, and 6. A series of information sessions will be held with local organisations including with the Jindabyne Chamber of Commerce on Tuesday, December 4, 5.30 pm for a 6 pm start at Rydges Snowy Mountains. A Jindabyne 2036 ‘Communication Bus’ will also be located in the car park of the Nuggets Crossing Shopping Centre over the three days for the community to find out more. Whats my opinion? Well, as the Independent candidate for Eden Monaro I travel the length and breadth of the electorate, and I realised a long time ago that the area is more than just Jindabyne, and Queanbeyan. Yet these tow areas seem to always be the beneficiaries of political vote buying grants... of which this 2.4 million is. Two point four million dollars to 'create' a plan.. not fix roads, build paths, install lights, reduce congestion, replace demountables in schools. Just create a plan. And the plan has already failed. Travellers, locals and tourists HAVE to travel through the rest of the electorate to get into or out of Jindabyne, and the plan does not propose to address that core issue. Cooma looks tired, run down, suffers congestion all of which add to the disappointment of visiting the region. This plan is selfish, short sighted, and makes a complete mockery of the Council Amalgamations process pushed by John Barilaro... it was supposed to bring the three shires together into a stronger region.. and now we see one of those former shires receiving the largesse of a desperate government. And shame on Labor's Bryce for not calling out this very fact.. Snowy Monaro... where Jindabyne only matters. Shearer talks about plan fatigue Andrew Thaler. This plan in front of us is still in progress and it is unfair to say that it has already failed. i have observed you for a while and i can see that you do care about our community. You have put your hand up to represent us. So can i encourage you to do just that and be our champion? Lead us with quality information. We need quality information to be fed into the discussion and to transfer reliable feedback that we can all act upon? Most of us only have the media to inform us. And you know how dangerous that can be. So if you put your hand up to be our eyes and ears, then we will most likely follow. Please truly be there for us and bring this opportunity to its best outcome? Yes, for now it is for Jindabyne, but the rest will follow and benefit. We definitely need to encourage res8dents not to be complacent! You hear the comment 'they suould have done xyz... '. Who or what is this magical 'they'? It is of course the community but they, the people of the community, don't seem to get that it is themselves! Lots of media saturation to encourage people to get involved in any one of the various networks that currently exist to promote some aspect of the region"s development. When an alluring location such as this one, successfully matches a caring community dream, inevitably, the population will increase. Jindabyne is no newcomer to an inherent exploding seasonal population. However, the term “inevitable” is loosely used especially when contemplating successful advancements. This small community is set to be somewhat larger and its advancement will have no static relief valve for the inevitable population explosion. Our current population enjoys a semirural, or could i say, subrural, relaxed lifestyle and those of us that are new in the community would have noticed adverse reactions from historical families that were forced to accept our intrusion. Having the above in mind, the forth coming invasion will require a forward thinking management plan which this article indicates that it has already been ignited. The pressure now arises for all in the community to be proactive toward this initial offering from the NSW Government Planning. Up to now, many topics have been put forward before and fallen on deaf ears... or have they? i believe, Now is the time to submit ideas to be included for consideration. i would encourage forward thinking which is outside the norm for these inclusions and examine our glaring current shortcomings that would be a burden on progress. Above all of the short comings, Safe, fast and affordable transport is one that stands out. People moving between Jindabyne and the major surrounding concentrations of population is imperative. Without futuristic considerations in bulk transport any progress would be disastrous. Similarly, segregating and containing visors for specific activities should also be explored. This idea alone would relive traffic and parking issues. consider relieving traffic at the Perisher and Thredbo snow resorts by offering a snow play area within a theme park in jindabyne. This theme park could incorporate many activities and water play activities in summer when the resorts are diminished in use. The highly sort after and now possible technology of a surf park through SPITS (Surf Park In The Snowy) is now a real discussion that is taking place. There is three locations for such a park that they are putting forward. A study on this would reveal a pressure relief that the resorts may encourage. This thought is based on the amount of parked cars that line the roads to the resorts causing the resorts to close the facilities in their jurisdiction. Expansion by the resorts to accommodate the ever increasing interests have been very slow so far. The links above could be a start of thinking outside the norm. Experiencing the speed of progress, what we think is possible today would not even come close to what technology has in store for future communities. I am looking forward to commuting on a Jindabyne Opposing Poles or Anti gravity Air-Rail, Elon Musk style. The Jindabyne Aero Club supports this initiative and considers this an opportune time to take full advantage of Government funding to establish a strategic plan for the future of the region. Infrastructure, town and country planning and other improvements and activities will increase the number of residents and the volume of visitors to the Snowy Mountains and the Monaro. Access to the region has already become an issue. The Government should include adequate planning for improvements to the major arterial roads serving the district and also to the potential for increased air traffic. Jindabyne Airfield is ideally located to service the region. A charter flight from Sydney would take a little over an hour whereas a road trip can take up to 6 to 7 hours. This reduces the danger of driver fatigue but also allows for more leisure time at the destination and a fresh start after the holiday. The Jindabyne Aero Club appreciates that its contribution to the economic growth and prosperity of the region would be greatly enhanced if the airfield is upgraded to a higher standard to encourage a greater variety and size of aircraft. For the past 4 years, the JAC has been lobbying Government for financial support to upgrade the infrastructure and facilities at the Jindabyne Airfield and it will continue to do so. Aside from public and private use, the airfield is also home to the emergency services in times of need - bush fires, search and rescue and mountain training detachments for the ADF. Community safety is of paramount importance and our emergency services personnel should have suitable facilities to cater for their needs during these critical periods. I would definitely support the Jindabyne Airfield being upgraded. So many advantages to the region if that were to happen. This would be a definite improvement to the region. It would be fantastic to have a rural service. Why is it that Cooma airport is do under utilised?